The 2017 KHTS Home And Garden Show Marketplace is set to be bigger and better than last year, featuring close to one hundred vendors selling items for spicing up decor both inside and outside your house. “The marketplace will feature local arts and crafts, jewelry, sculptures, home decor items for both indoors and outdoors, benches, plants and so much more,” said Carl Goldman, owner of KHTS. Goldman elaborated, “Most of our vendors are from the Santa Clarita Valley,” displaying products you won’t find anywhere else. We have selected a wide array of vendors displaying many unique products. 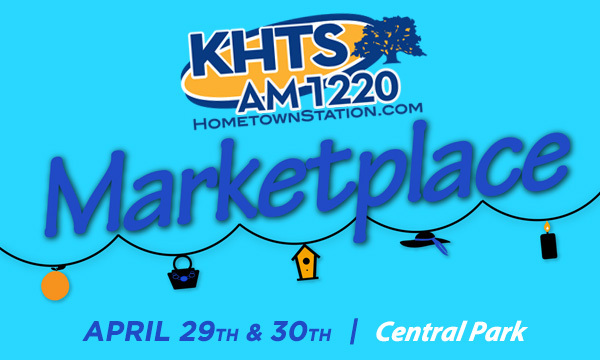 The KHTS Home and Garden Show Marketplace will take place simultaneously with the KHTS Home & Garden Show, Emergency Expo, Arts and Craft Fair, Earth Day & Arbor Day Festival at Central Park, April 29th & 30th, 2017, admission is free. Saturday’s event is from 10 am – 5 pm and Sunday 10 am – 4 pm.